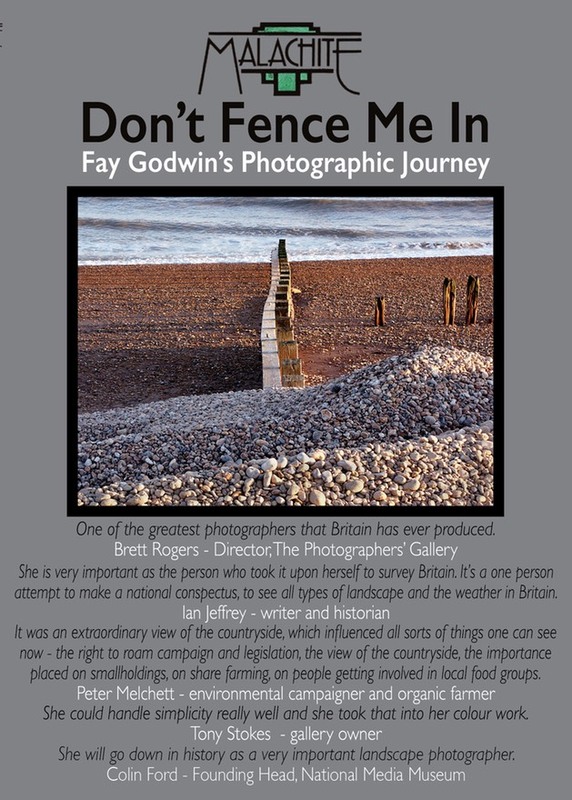 Don’t Fence Me In, our long-awaited profile of photographer Fay Godwin had its premiere at the British Library Knowledge Centre on Thursday 11th January 2018, and now DVD copies are available only direct from Malachite for the sum of £16 inc. UK post & packing. The price is £15 + £1 UK post & packing. An extract from the Malachite documentary about the life and work of British photographer Fay Godwin, filmed over the last five years of her life and exploring the many facets of her photographic work in black & white and colour and her campaigning work and concern for our environment.